UPDATE 5/20/16: The Gumroad Shop has been closed. Charlie & Clow: The Bonus Arc is now available only for Patreon patrons. If you would like to get the comics, pledge on Patreon for as little as $1 a month, and help make more comics happen. 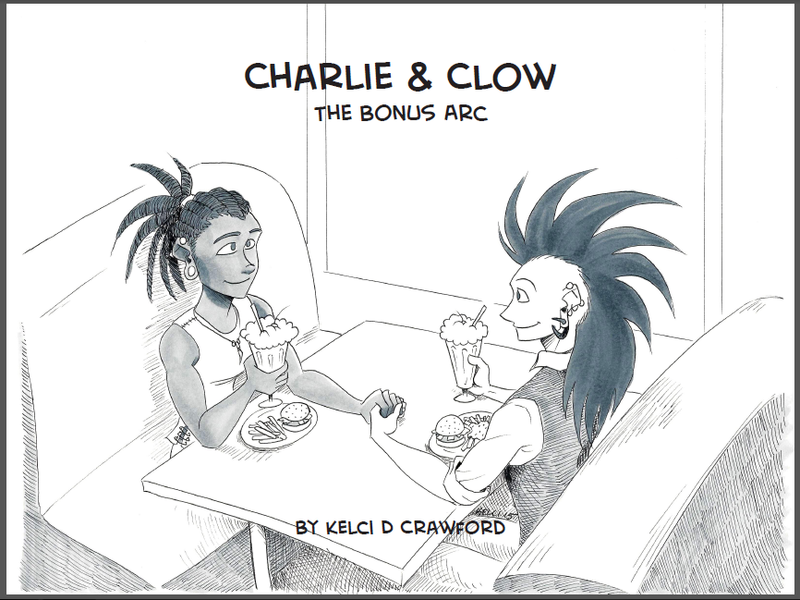 Charlie & Clow: The Bonus Arc originally aired as extra comics in my email newsletter. But now they’re all collected into one volume for you to read! The book also includes sketches, silliness, and a letter of thanks. I hope you enjoy it! The next time you see Charlie & Clow, they’ll be appearing in a new comic, Charlie & Clow: The Case of the Wendigo. It’s slated to release next year. When, precisely? Well, you’ll have to stay tuned to find out!